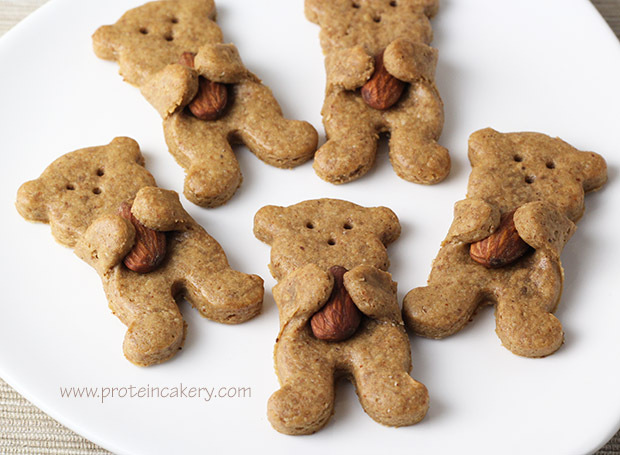 These Maple Almond Bear Hug Protein Cookies are the cutest cookies I’ve ever made! 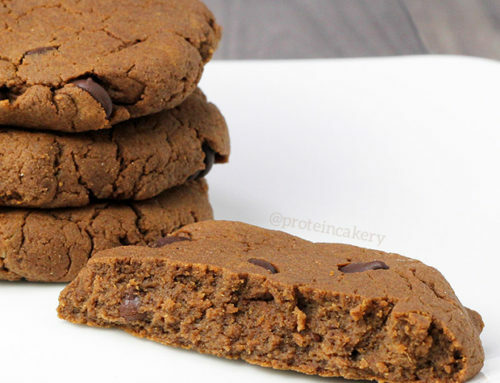 I’ve been wanting to make these cookies for several months, after seeing this version online. But I could not find the right cookie cutter! I looked through everything I had, in all the local stores, and online. And I could not find one with arms that would work! I recently came across this new bear cookie cutter on Amazon, and I couldn’t be happier with the results! 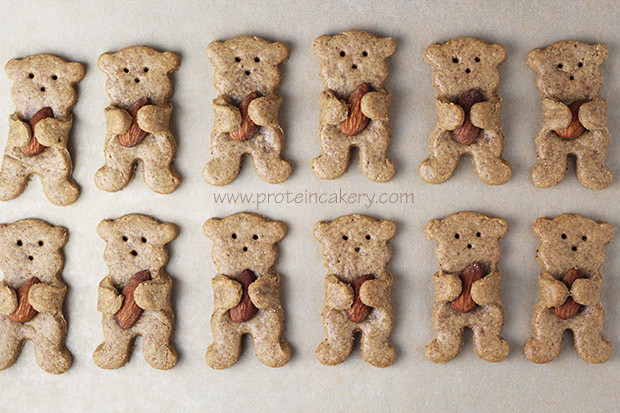 These Maple Almond Bear Hug Protein Cookies are adorable! Seriously, how cute are these?!? And they are delicious! 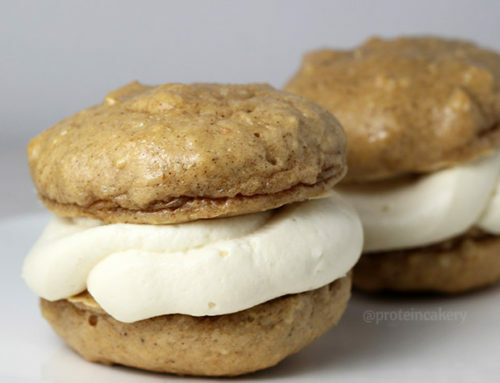 After making my Maple Almond Stuffed Protein Pancakes recently, I couldn’t resist adding some maple syrup to sweeten and flavor these cookies. So delicious! 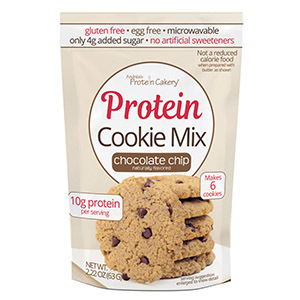 I made a couple of batches of these, and I realized that 12 is the perfect number with this cookie dough recipe. Rolling the dough too thin leads to messy looking bears, but a thick dough holds up well to the almond placement. 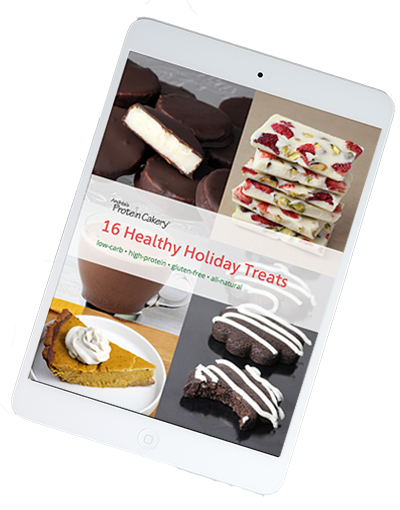 I have links here to Amazon, since the cookie cutter is there. But you can get all the ingredients at Vitacost at great prices with $10 off your first purchase of $30+ by shopping through this link: goo.gl/uxKkfR. Enjoy! 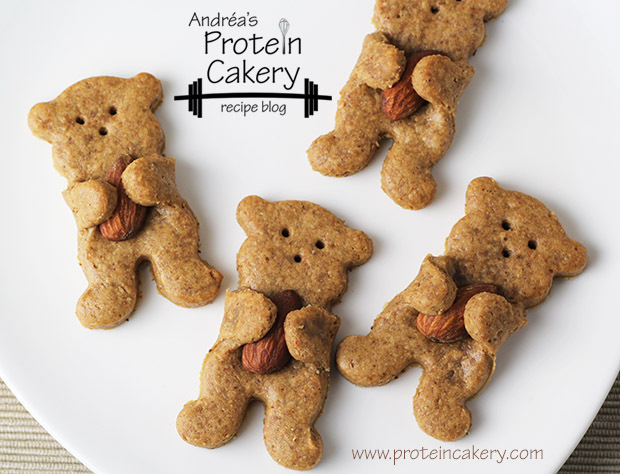 I hope you’ll give these Maple Almond Bear Hug Protein Cookies a try! I’m already planning other flavor combinations. Feel free to leave a comment with your requests! 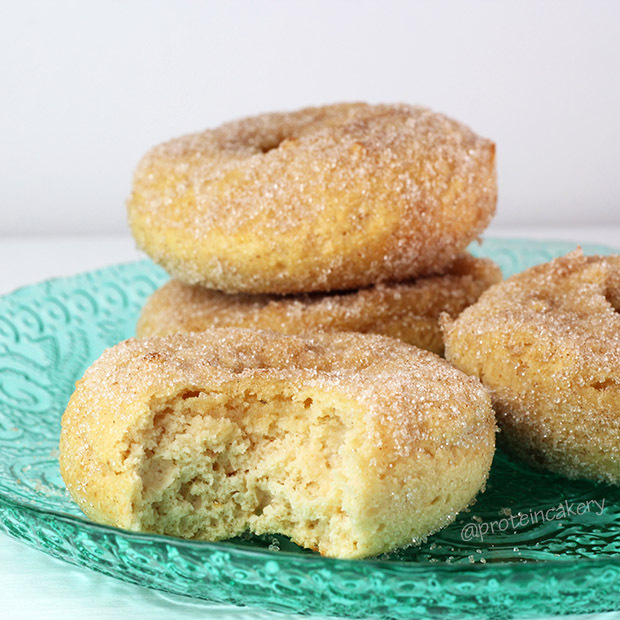 Mix almond butter, water, maple syrup, vanilla, and salt. Mix well. 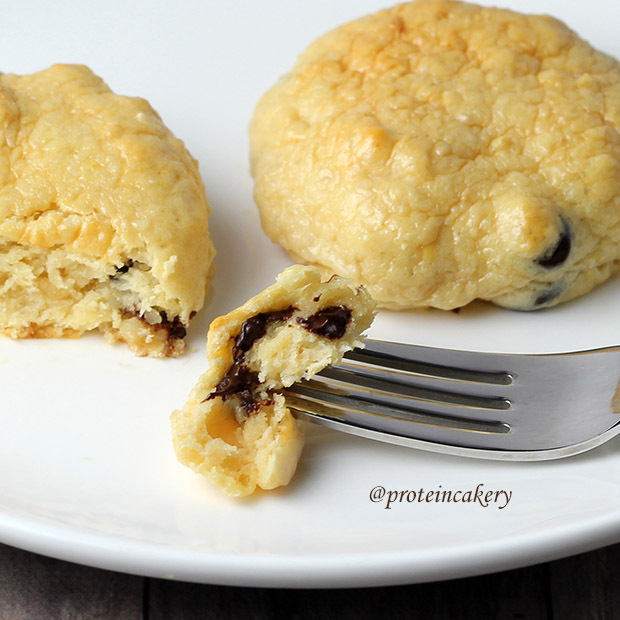 Add rice protein, and mix to combine into dough. If the mixture is too dry, add water by the teaspoon. 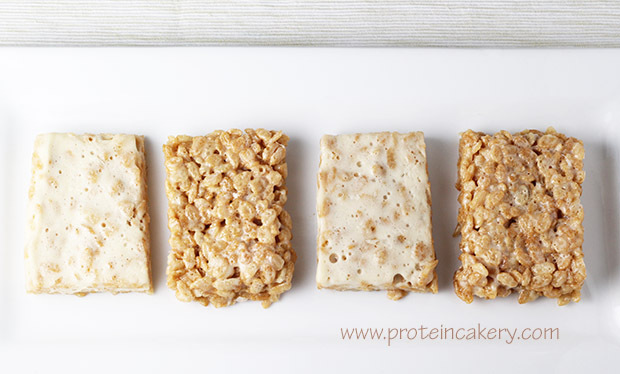 If the mixture is too wet, add rice protein by the tablespoon. 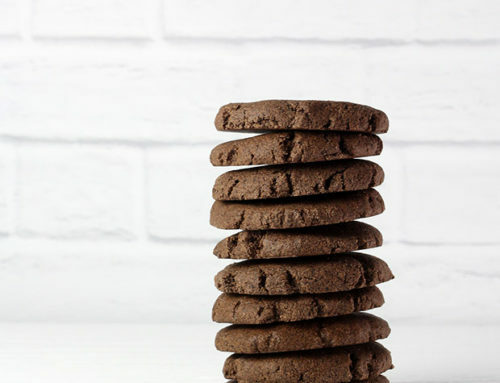 Place the dough on a sheet of parchment paper, and roll (or press with the heel of your hand) so that the dough is flat and just large enough to make 12 cookies. 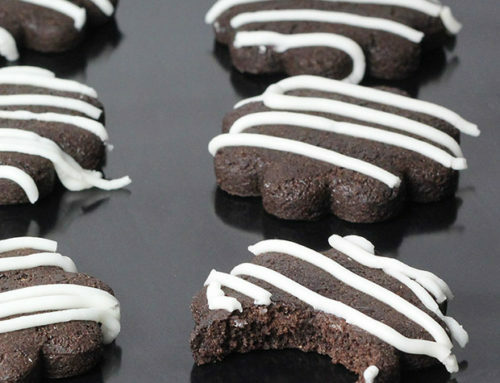 If you roll the dough to be too thin, the bears won't hold their shape as well. 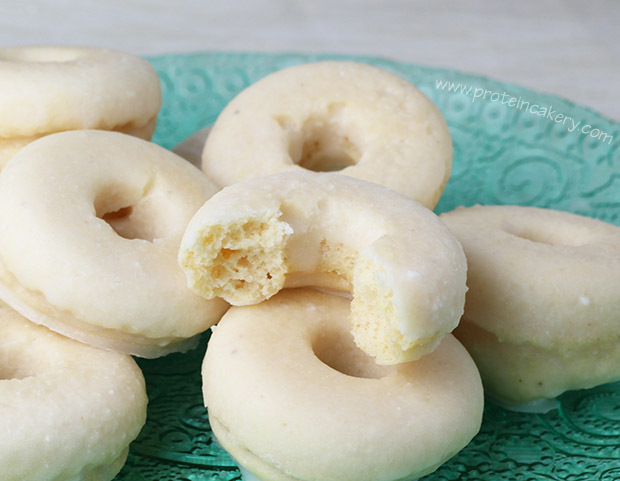 Remove the dough from the freezer, and preheat oven to 325F (163C). 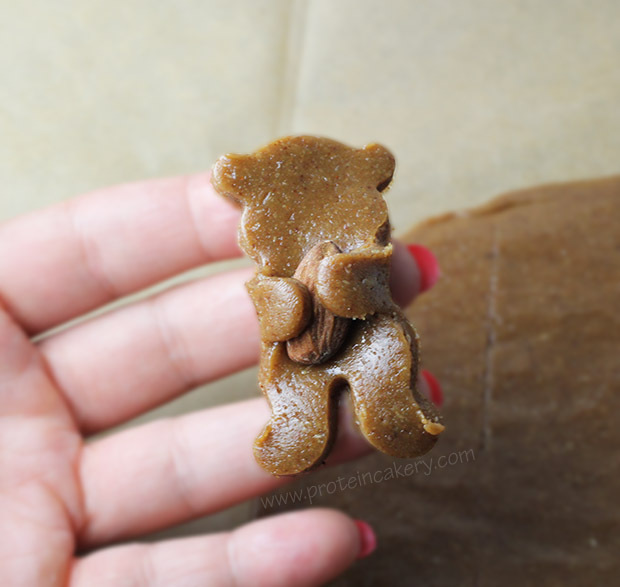 Using your cookie cutter, press and cut one bear. 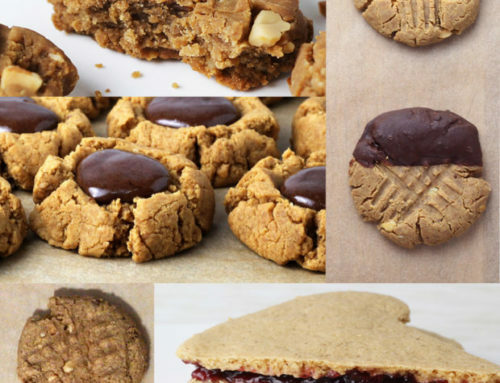 Before you place it on the cookie sheet, place the almond in the center of the cookie, and wrap the arms around the almond. Then place on cookie sheet. 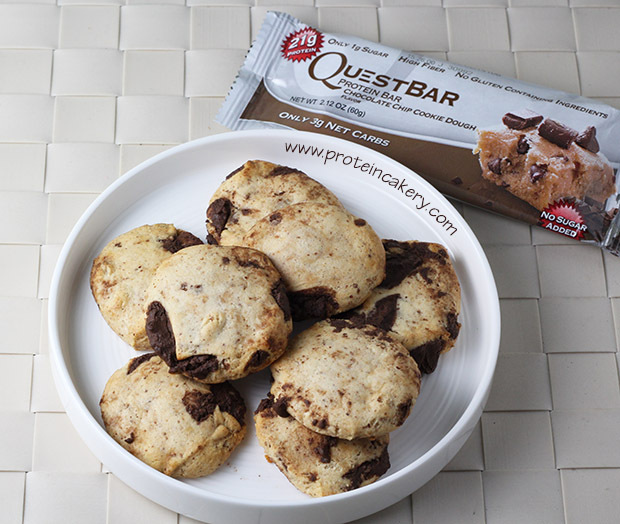 Repeat to make 11 more cookies. Use a toothpick to make holes for the eyes and nose. Bake for 10-12 minutes, until firm. Let cool, and enjoy! These should stay fine at a cool room temperature, or in the refrigerator.